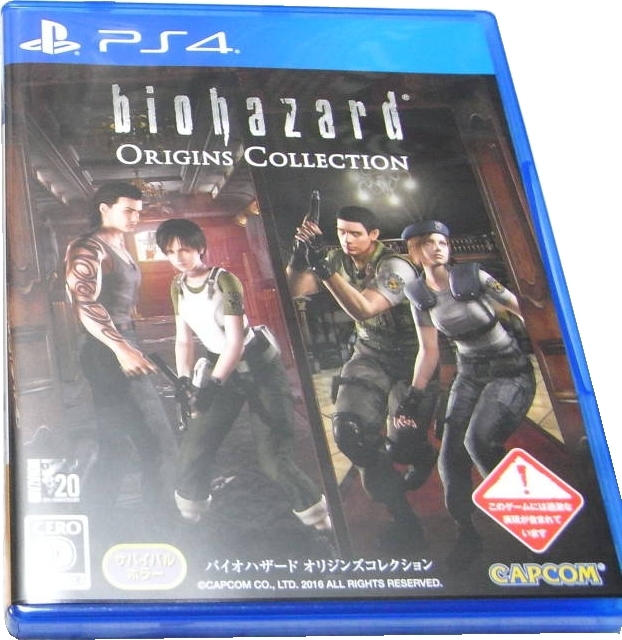 The cardboard box contains the regular edition of Biohazard Origins Collection (PLJM 84043) and Biohazard HD Remaster Complete Soundtrack (CPCS-01103). 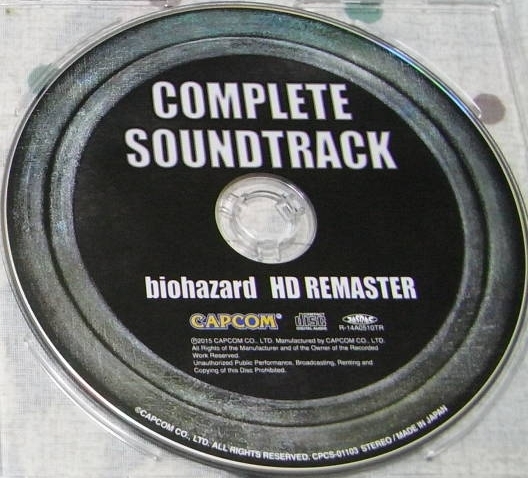 The soundtrack disc label is identical to the previous edition included with the download-only Biohazard HD Remaster (CPCS 01103), but now it has been put in a slimline case with a front insert. 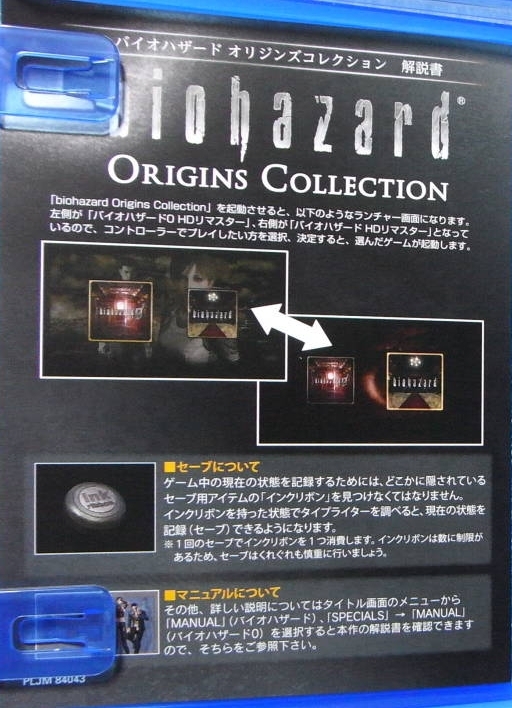 A white cardboard spacer is included to make the slimeline case fit next to the game. 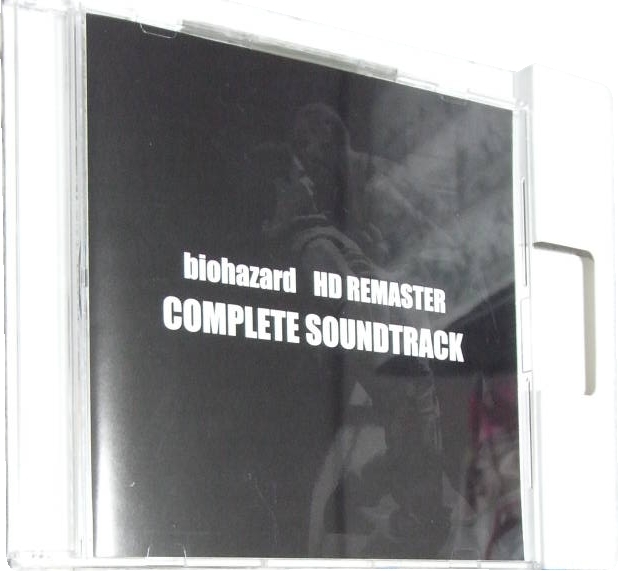 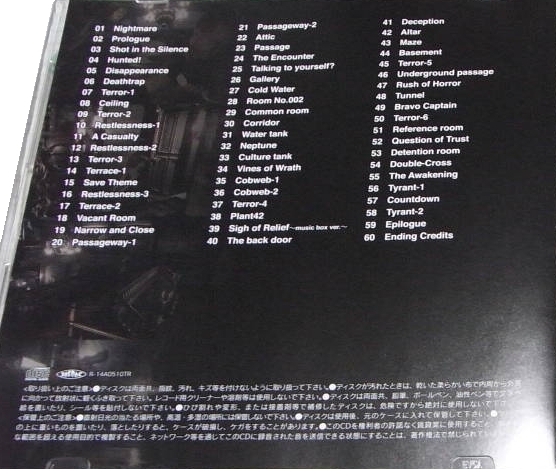 Biohazard 4 , Biohazard 5 , and Biohazard 6 were included as download-only. 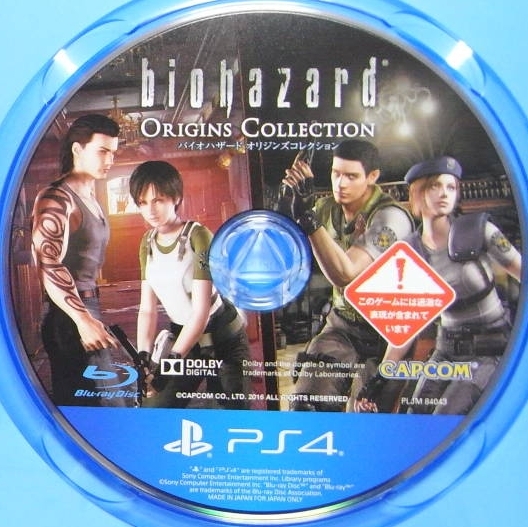 A 2018 reissue included the three games on disc. 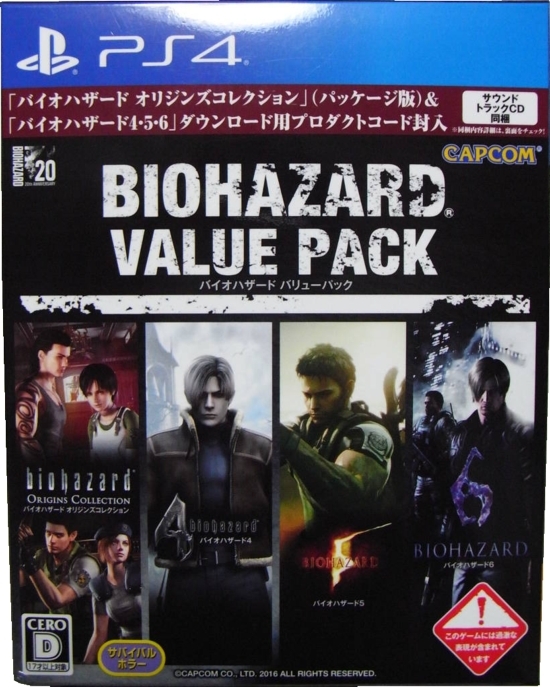 Thanks to Yahoo! 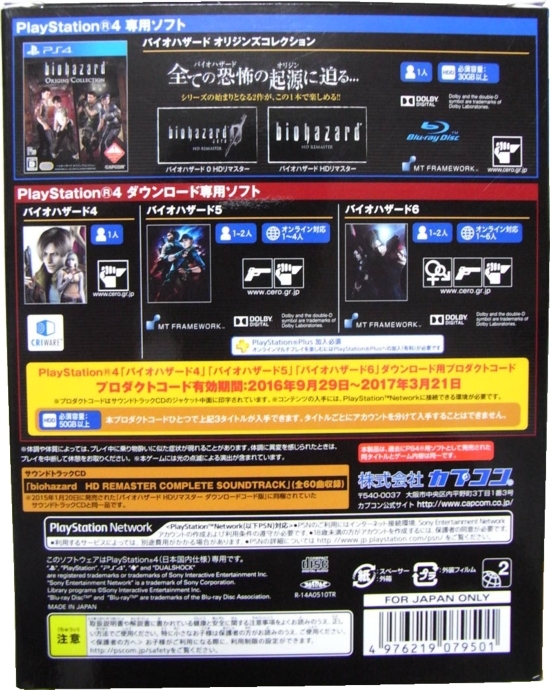 Auctions Japan member crmhn849 (images 1-8) and VGMdb.